PRS Europe 2018 is pleased to announce an informative and inspiring conference programme which will address the latest opportunities and challenges that face the plastics recycling industry. With key industry figures in attendance and a number of big name speakers, this really is a must attend event for those looking to evolve their business and generate new revenue streams. The Conference is FREE to attend and forms part of the FREE to attend exhibition where you can not only benefit from the content, but also from quality networking, meeting top suppliers, seeing the most innovative products & services as well as see new launches. This session will give an overview of the legislative landscape in respect to the plastics recycling, plastics recycling figures as well as initiatives on marine litter. The PET material focus session at PRSE will focus on the latest developments within the PET recycling sector. The speakers of this session will talk about the launch of the PET trays recycling and the pioneer water marking project whose aim is to improve sorting. RPET towards 2025, what can we expect? Tray2tray recycling, what can we expect? This session will make a close-up on the current collection schemes and recycled volumes of PVC across Europe as well as the legislative framework for PVC recycling. The speakers of this session will talk about the challenges and opportunities linked to the collection, sorting, recycling and uptake of recyclates in this stream. Recycled technical plastics: the end or the future? This session will focus mainly on the successful collection and recycling schemes of LDPE in Ireland as well as current EU recycling rates of this stream. This session will zoom into the use of recycled HDPE and PP by brand owners and the future of HDPE recycling. It will present as well recently launched polyolefins platform. 100% PCR in packaging - we’ve done it! The Ceremony will announce the winners of the Plastics Recycling Awards Europe in 5 different categories. 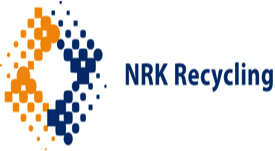 The Awards are designed to recognise and celebrate achievement throughout the scope of the European plastics recycling industry. Finalist entries will be displayed in the “Plastics Recycling Awards Europe Feature Area” for the duration of the exhibition. The speakers in this session will focus on the recycling potential of mixed plastics. This session will provide insights into difficult to sort and recycle products. Solution for black trays sorting? Chemicycling as a sustainable solution for mixed plastic!